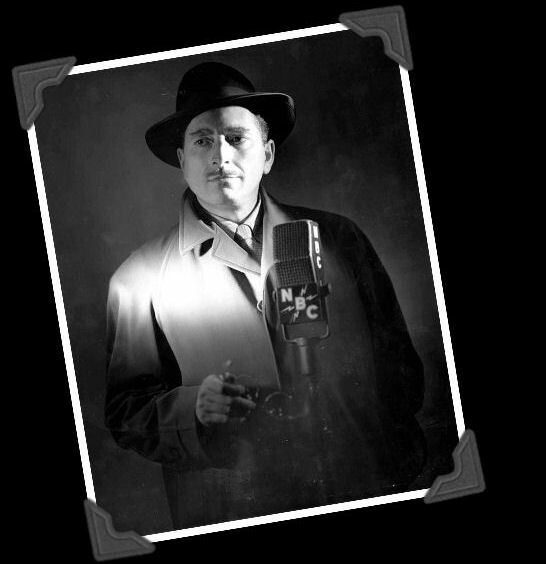 Molle' Mystery Theater was NBC's iteration of a popular series which aired additionally on ABC and CBS from 1943 through 1952 under several different names. It was narrated-or rather 'annotated'- by amateur criminologist Geoffrey Barnes (played by Bernard Lenlow, pictured) who helped the listener understand what was going on. Molle' (moe-lay') brand shaving cream sponsored the program. Please note that many of these episodes are AFRS versions (Armed Forces Radio Service). They present as Mystery Playhouse, a series which picked the best of the mystery shows at the time, including this one, and broadcast them to the troops. The intros and outros were changed (most often narrated by Peter Lorre) and ads removed, but the stories themselves were left intact, and are indeed Molle' Mystery Theater episodes.